The Russo-Japanese War (February 1904 – September 1905) was "the first great war of the 20th century." 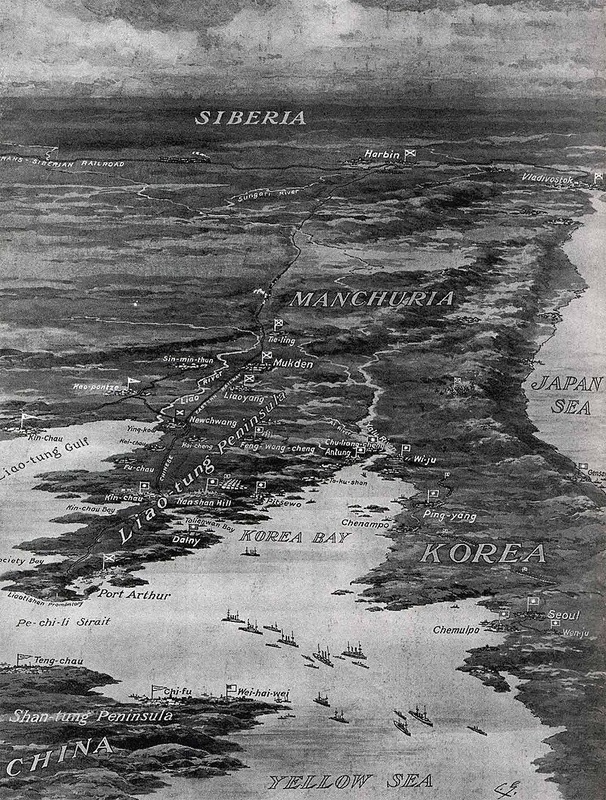 It grew out of rival imperial ambitions of the Russian Empire and the Empire of Japan over Manchuria and Korea. Historian, Niall Ferguson argues that this war was the result of economic volatility, the breakdown of multiethnic societies, the unraveling of old empires, and racial animosity. Ferguson believes that the effect of this war unleashed the "20th century's unrivaled bloodletting." In 1874, the Tsarist government abolished the colonist's exemption from military service that was promised in perpetuity by Catherine II's Manifesto of 1763. As a result, many young men from Norka and other German colonies were conscripted to support the war effort in Asia. Family photographs depicting ancestors in military uniform are common. 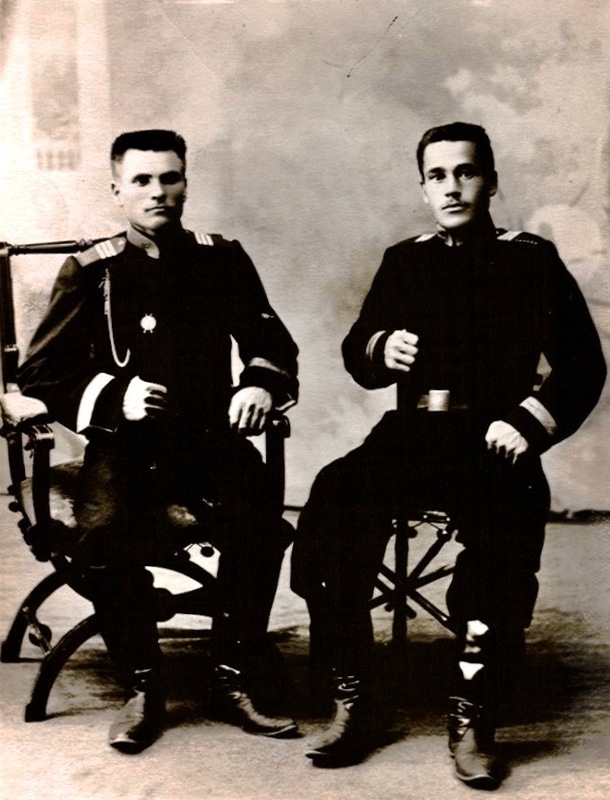 Georg Phillip Weber (right) served in the Russo-Japanese War and was known to have fought the Japanese at Vladivostok. This photograph was taken in Saratov and was provided courtesy of Kenneth Moore. Although popular support for the war had existed following the Japanese attack on Port Arthur in 1904, discontent would occur following continued defeats at the hands of Japan. For many Russians, following the immediate shock of unexpected humiliation at the hands of Japan, the conflict came to be viewed as a metaphor for the shortcomings of the Romanov autocracy. This was the first major military victory in the modern era of an Asian power over a European nation. Russia's defeat was met with shock in the West and across the Far East. Popular discontent in Russia after the war added more fuel to the already simmering Russian Revolution of 1905. With a weakened central government, those who opposed the Tsarist regime felt it was the time for change. Battlefields in the Russo-Japanese War. Source: Wikipedia. During the years from 1905 to 1906, waves of mass political and social unrest spread through vast areas of the Russian Empire. 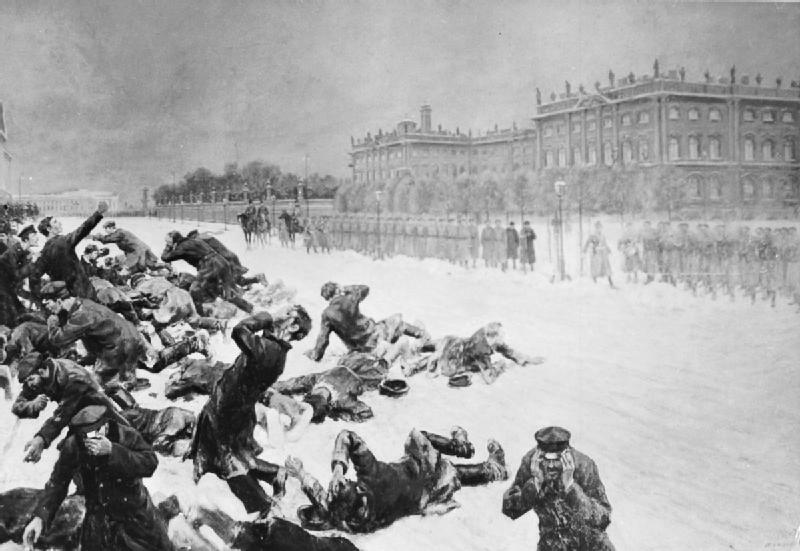 Spurred by agrarian problems, animosity towards ethnic nationalities in Russia, labor unrest and fear of the educated classes, the Tsarist autocracy of Nicholas II cracked down on the protesters on January 22, 1905 in what became known as the Bloody Sunday massacre at the Winter Palace in St. Petersburg. Many historians agree that this was one of the key events that set the stage for the October Revolution in 1917. Artistic impression of Bloody Sunday in St. Petersburg. Source: Wikipedia. While limits were placed on the constitutional monarchy at the time and half-hearted elements of democracy were introduced, protests continued and the autocracy eventually resorted to brute force near the end of 1905 in order to curtail the burgeoning strike movement that continued to spread. It is estimated that between October 1905 and April 1906, 15,000 peasants and workers were hanged or shot, 20,000 injured, and 45,000 sent into exile. The Tsar and his government had been discredited and many in the lower classes felt he was no longer the true leader of Russia. Revolutionaries such as Vladimir Lenin were not satisfied with the reforms of 1905-1906 and they continued their work to bring greater social and political change to Russia. The failed war with Japan and attempts by the revolutionaries to overthrow the Tsarist government were harbingers of the even more turbulent times that were approaching. Many people from Norka decided it was time to do as their ancestors had done nearly 150 years before and emigrate to new lands where they hoped to find a better life. The situation would deteriorate for those who remained. Ferguson, Niall. The War of the World: Twentieth-century Conflict and the Descent of the West. New York: Penguin, 2006. Print. Last updated November 25, 2017.